Serenity Now Travel Blog: Plans for Port Days. I am 6 days (& a wake-up) away! I cannot believe how fast it's coming. Actually, I can believe it. With how busy I've been it makes sense. I feel like no matter what happens on this trip I'm going to enjoy it even more than I normally would. Any other vacation I've been counting down to, when I hit about 2 weeks out it feels like life has slowed to a crawl & all I can think about is the trip. This trip, I've been praying for the days to last longer, due to my worked obligations & deadlines. Hard to imagine, but I also am not even thinking about the trip. My cousin was talking to me yesterday & said how she was so excited for me & asked if I was excited... I had no idea why she thought I should be excited! Burnt-out, table for one. So I've got it figured out. If you want your trip to come quicker, schedule it for 3 days after the biggest work deadline of the year - that trip will sneak up on yah so fast! Gibraltar, UK: Normally I never schedule excursions with the cruise line. They always overcharge you an insane amount. For Gibraltar, however, I did. For us to see what we want it would cost us nearly the same as if we just took a cab. Other factors that had me go with DCL's excursion was that if we take a cab, you have to wait for it to fill completely to leave. So we could get off the ship, find a taxi & then sit in it for 1-30 minutes waiting for the driver to fill his taxi, which is actually like a mini-bus. Plus, if we go with DCL, they send their ships photographers on the excursion with you to take photos. That was a big plus for us, since we are buying the photo cd. We want as many photos on that thing as possible! Another plus, is DCL excursion people are the first off in the morning. So we'll be taking the first of the morning tour that leaves at 7:45am. 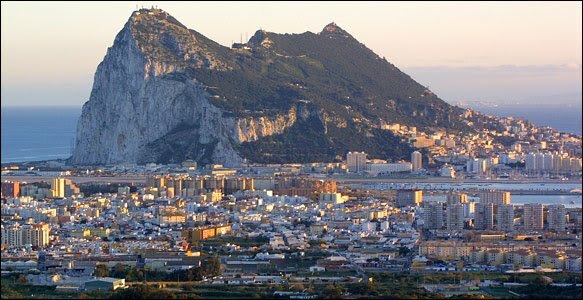 It will take us up The Rock of Gibraltar where we'll get to take in the sights, see a gorgeous cave & spend some time with special friends... stay tuned. We'll get back to the ship at about 10-10:30am. We'll probably shop a little in town before getting back on board. After some shopping we'll go back on the ship for a nice, quite lunch & then send my dad off on another excursion that is right up his alley. He'll be going on the Fortress Tour, where he'll have a walking tour of the World War II tunnels carved in the rock. There are 30 miles of interconnected tunnels in the Rock of Gibraltar. Hopefully he won't be walking all of them! My mom & I aren't going. It's $55 per person and really, we're not men, so we're not into the whole WWII history like every man in America seems to be. We didn't want to waste the money to go. Plus, I think that would be a little too much walking for my mom in one day. 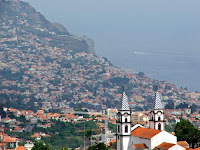 Madeira, Portugal: I have scheduled a private tour of Madeira. It's a 4.5 hour tour taking us to see all the sights. This tour is going to finish with a bang...stay tuned! Once the tour is over, we'll probably head back on board, have lunch, then probably get back off the ship & do a little shopping. You'll notice a pattern of us eating on board & not in town. I was a lot more adventurous & loved to try the local cuisine. However, a TERRIBLE meal in Egypt that had me sick for many days of my trip has really made me a lot more timid. So if I can eat somewhere where I know I'll be okay (and it's already paid for), than I happily head there. Prima donna here, remember? St. Maarten: This day we'll be split up again for the morning. My mom & I will either be sleeping, shopping, swimming or whatever we feel like doing. While I'm treating my dad to a special excursion. My dad's dream is to own a sailboat. I'm sending him for sailing lessons at home, so when I saw this excursions, I knew it was for him. My mom on the other hand is terrified of (small) boats, so we didn't want her left alone, so I'll be staying with her while my dad goes on the Twelve Meter Regatta. This is an excursion with DCL, but I couldn't pass it up for him. Basically, you get to become a crew member on a sail boat (vessel, to be correct) that's sailed in America's Cup. My dad is really excited to do this one. So I'm happy for him. I swear, the man has no hobbies, so if I gotta pay $5,000 for him to actually do something that he enjoys, I'd do it. I'm still trying to figure out what he's going to do with himself during our 5 sea days straight. Should be interesting. Tortola, B.V.I. : I don't have any plans for Tortola. We'll probably just get off the ship, walk around a bit, maybe find a taxi & do a little in-prompt-to tour of the island. Maybe stop at a beach. I really have no plans for Tortola. 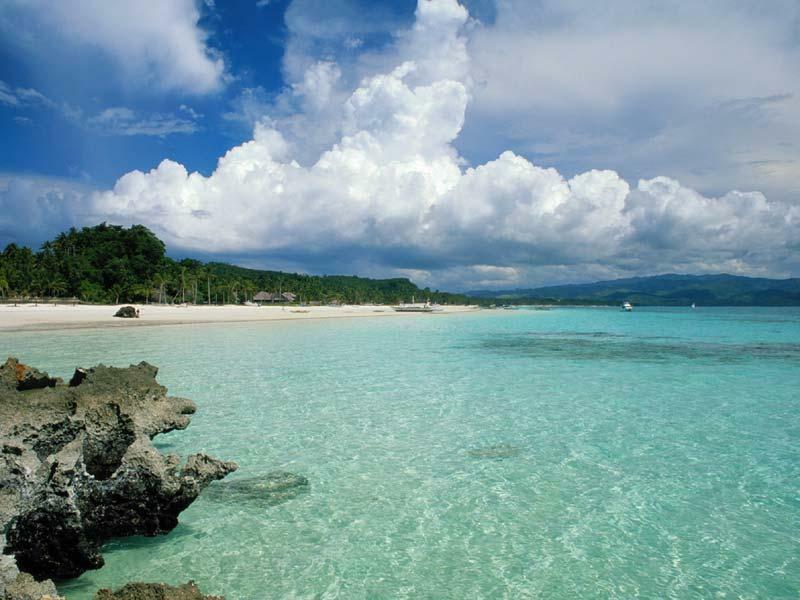 It's just another caribbean island. Really, you've seen one, you've seen them all. 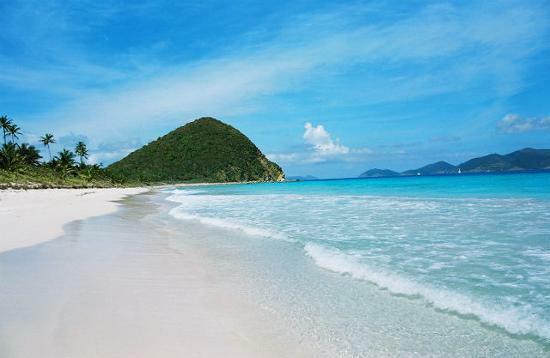 Plus Tortola is not really a shopping island, so that really is a damper for me, but I know my dad will be thrilled! 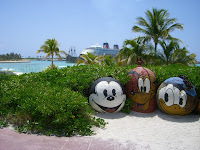 Castaway Cay: Our final port is one of my favorites. It's Disney's private island, Castaway Cay (pronounced "key"). This is a small island in the Bahamas that Disney owns, not leases like other cruise companies, but owns. It's an amazing place. It has three beaches, family beach, teen beach & my personal favorite, Serenity Bay, the adult only beach. Serenity Bay is like heaven on earth. 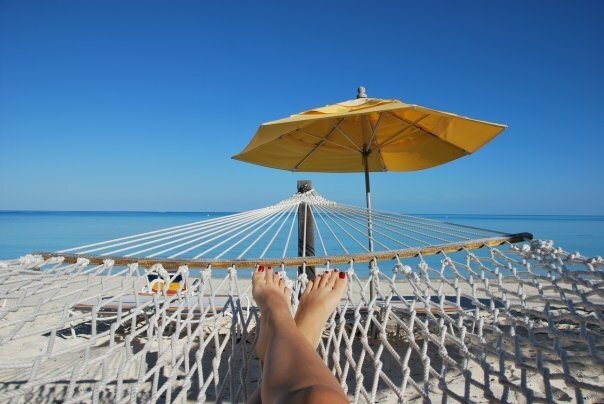 The beaches have umbrellas, lounge chairs, those short chairs that have you sitting in the water, private cabanas & best of all, hammocks! They also have water sports, fishing, sting ray encounters, a huge BBQ buffet, the character come out, parasailing, bike rentals... the list goes on. It's amazing! 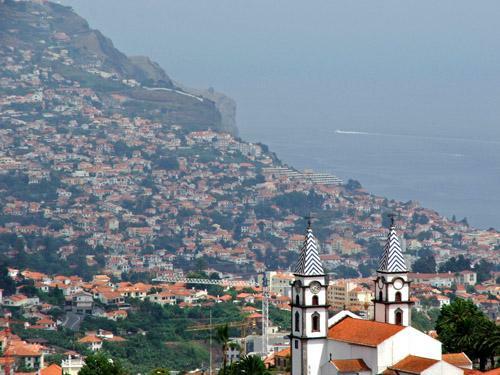 If you click on the picture to the left you will see something that makes the island even more special. In the background you will see the home of the Black Pearl, the actual ship used in the Pirates of the Caribbean Movie. Unfortunately, Johnny Depp is not still aboard. That's probably a good thing, though. Can you imagine??? Dear God. You wouldn't get me off that island, that's for sure! We have no official plans for Castaway Cay. We'll probably end up over at Serenity Bay. I guess you guys will just have to wait & see. I'll leave you with my favorite picture from Castaway Cay... yes it's me in the picture. Well, that's it. I have told you my plans for the entire trip, starting with Ireland & Spain & ending with Castaway Cay. I do also have post cruise plans with family, a stop over at Disney World for their food & wine festival & then plans to visit friends over in the panhandle, but there's really nothing too exciting planned for those days. I will post about our two days at WDW, but I have no plans for those days as of yet. If you're just joining me, you can look back through my post to get a better idea of this, now 26 day(!!!!!!!!!!) trip. If you don't want to subject yourself to that much rambling, I understand. So in short, I am taking a 26 day trip with my parents (actually they're going with me) to Ireland & Spain, then I'm boarding Disney's cruise ship, the Magic, for a 14 day cruise, beginning in Spain & ending in Florida. I will be reporting back here daily & depending on how the internet connection is, I'll be posting lots of pictures. You are more than welcome to join me on this trip of a lifetime. Ahhhh! I leave in 6 days!!!!!!!!!!!!!! Day 15: 5 of 5 consecutive sea days. Day 14: 4 of 5 consecutive sea days. Day 13: 3 of 5 consecutive sea days. Day 12: 2 of 5 consecutive sea days. Day 7: 1st day at sea. Day 4: Last day in Ireland. Day 3: A windy day in the mountains. The last day for errands. Good God! It's September already!! !